Instrumental in fostering TMP’s cohesive culture that rewards talented professionals who thrive on developing the communications solutions of the future, Executive Vice President Sherry Jacobson is responsible for the New York market. Recognized for her entrepreneurial, management and interpersonal skills by her clients and colleagues, Sherry has been acknowledged for establishing new standards in recruitment advertising. She has an unparalleled reputation for forging and nurturing relationships with Fortune 100 companies that span more than 25 years. Sherry’s work has received numerous awards including the EMA Creative Award, CEA, Golden Harvey Nursing Award and EMA Radio Creative for Military and Student Enrollment. 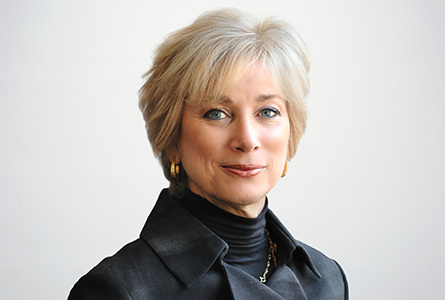 A member of AHHRA-NYC, ASHHRA, SHRM and HR/NY, she is also currently a board member of the Institute for Healthy Aging; Co-President of the Ovarian Cancer Research Fund; and Chairman of the Advisory Board, The Leinhard School of Nursing and the College of Health Professions at Pace University. With a passion for nonprofit and community outreach, Sherry lives TMP’s unique philosophy that holds social responsibility and loyalty as a foundation for growth. She holds a B.A. in psychology from Hofstra University and studied experimental psychology at The New School in New York City.